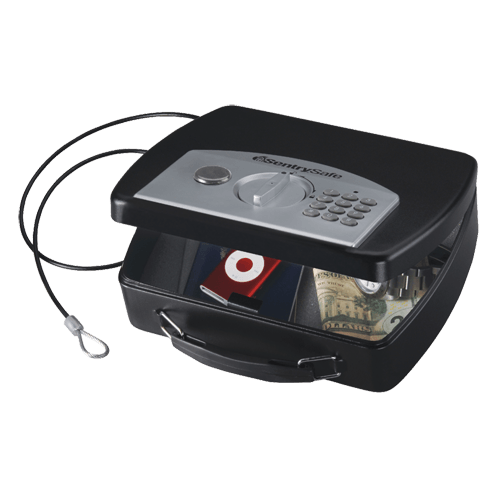 P008E Portable Security Safe is rated 3.5 out of 5 by 2. The Portable Lock Box P008E is designed with you in mind. The P008E offers added security for your irreplaceable items with a digital lock, steel tethering cable, and override key. 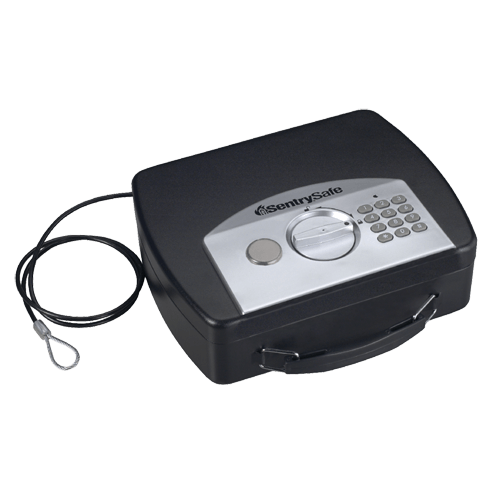 Complete with a carrying handle, this safe is ideal for protecting your most valuable compact possessions including cell phones, wallets, keys, iPods, and more. Rated 3 out of 5 by rongrv from Nice Safe but very cheap battery compartment cover Nice electronic safe, but the battery compartment cover is so poorly designed that the cover will not close. Unfortunately, I will have to return this product. Batteries will fall out without cover.